Are there tax incentives for hiring? Tennessee American Job Centers offer free employment screening services. How can I post a job or view potential applicants online? How can I create or be involved with a job fair? The Tennessee Jobs Tax Credit for Hiring Persons With Disabilities is a one-time tax credit available to qualified employers who establish either full-time or part-time job(s) for persons with disabilities who are receiving state services directly related to such disability. Credits are allowed against qualified employer's franchise and excise liability tax in the amounts of two thousand dollars ($2,000) for each qualifying part-time job created and five thousand dollars ($5,000) for each qualifying full-time job created. 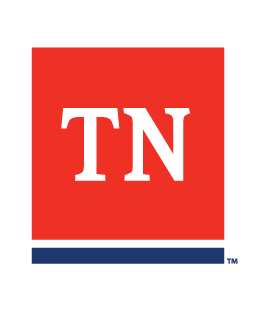 All Tennessee Jobs Tax Credits allowed will apply for the year in which the job(s) were established. Am I Eligible for TJTC? Qualified employers must hold franchise and excise tax accounts with the State of Tennessee, Department of Revenue (i.e., non-profits are not eligible) and must also participate in an existing state government employment incentive program pursuant to which persons with disabilities are being served. The employment of the person(s) with a disability must create a net increase in the number of persons with disabilities employed by the taxpayer. The qualifying employment must be provided for at least 12 consecutive months and for no less than the minimal hours per week required by law (i.e., 37.5 per week for full-time jobs and 10 per week for part-time jobs). In addition, to qualify for the Tennessee Jobs Tax Credit for Hiring Persons With Disabilities of five thousand dollars ($5,000) for the creation of a full-time job, the employed person must be enrolled in the employer's health insurance program. How do I apply for TJTC? If you have questions about applying for the Tennessee Jobs Tax Credit for Hiring Persons With Disabilities, please contact the Tennessee Department of Finance & Administration at (615) 741-4892. For all other tax assistance, please contact the Tennessee Department of Revenue at (800) 397-8395 toll free in Tennessee, or if you are located in the Nashville area or out-of-state, call (615) 253-0700.